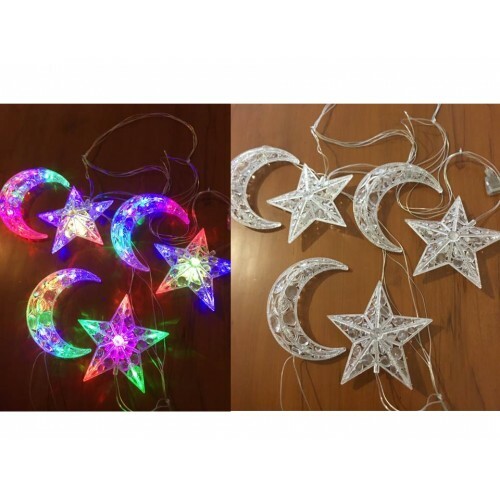 6 Moon & Star shaped Ramadan lights will brighten any home, mosque or shop. Each 12 cm tall. 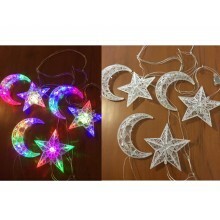 Flashes multi colours for added effect. Stretches over 3 metres long.